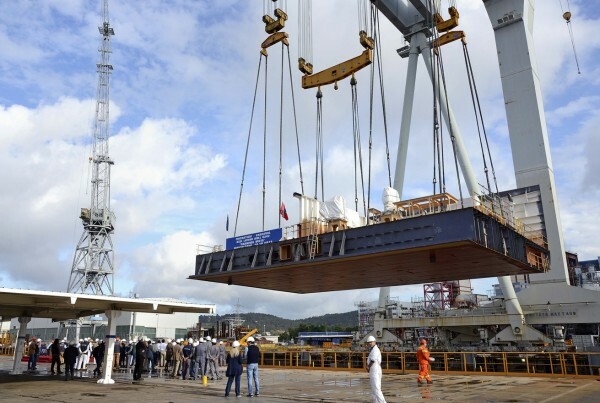 Carnival Cruise Lines’ celebrated the keel-laying of its newest ship, the 3,954-passenger Carnival Vista, in a ceremony held earlier today at the Fincantieri shipyard in Monfalcone. The 133,500-ton vessel – the largest “Fun Ship” ever constructed – is set to debut in spring 2016. The 25th vessel in Carnival’s fleet, the Vista will feature a variety of Fun Ship 2.0 dining, bar and entertainment offerings as well as several innovations unique to this vessel. Additional design details, as well as homeport and itinerary information, are expected to be unveiled early next year.